Mercedes-Benz СL-Class PDF Workshop and Repair manuals, Wiring Diagrams, Parts Catalogue, Fault codes free download! Mercedes-Benz CL-class – a series of luxury full-size cars of the German brand Mercedes-Benz. Officially it was introduced in 1996, but two-door modifications of the flagship models of the company and the version with an open body were produced by the concern before. It consists of three generations of cars: C140, C215 and C216. The CL-class represents a ruler of cars in a body of a compartment collected on the basis of representatives of an S-class on one platform. Previously, the series was known as “SEC”, and later “S-Coupé”, but in 1996 it gained its place in the hierarchy of classes of the German automaker. The new series continued to follow the same development cycle as the S-Class sedans, but it had a shorter wheelbase, a more sporty appearance and was equipped with only the most efficient engines, which were also borrowed from the flagship range of vehicles. The latest generation of the CL-class, C216, was available in five models: the standard CL 500 (CL 550 in some markets) and the CL 600, and the modified CL-AMG, CL 63 AMG (S) and CL 65 AMG . The latest model was the most powerful representative of the CL-class and the most expensive car of the brand Mercedes-Benz. The release of the series was officially discontinued in 2013 (2014 for the United States). The management of the company Mercedes-Benz decided to manufacture a modification in the body of the coupe under the aegis of the usual S-class instead of the release of a separate series. The first car, released after the closure of the CL-class, was the Mercedes-Benz C217. Among the main competitors of the CL-class in the segment of luxury coupe with the landing formula “2 + 2” there were such cars as Aston Martin DBS, Bentley Continental GT, BMW M6 and Ferrari 612. The first independent CL-class appeared in March 1999. Externally, the car completely integrated into its new role as the flagship of the coupe models and if in size and rear it resembled the W220 S-Class, then in front of its four-stair styling was influenced by the W208 CLK-class. The car was originally produced in two versions of the CL500 and CL600. In 1999, an important event happened for Mercedes, the AMG tuning company, having been an official partner of Mercedes-Benz since 1993, was bought by him, and already in early 2000 a CL55 AMG appeared for the new CL-class. In 2002, the car received a major upgrade, it should be noted that if the W220 did not leave a better reputation for reliability, C215 for its entire production did not have such a criticism. In 2003, AMG introduced the V8 CL63 AMG engine, and in 2004 the V12 CL65 AMG with the 612 hp biturbo. By the end of production (March 2006), 46,600 cars were built. The last CL-class appeared in September 2006 year. The design of the new car was even more divided with the family of the S-class W221, some elements were taken from the history, for example, on the radiator grille, you can see the effect of the C126. The lineup is almost the same as the C215: CL500 (CL550 in the US), CL600 and CL65 AMG, except the CL55 AMG which replaced the model CL63 AMG. In 2010, the car underwent restyling. The shape of the bumpers, the grill of the radiator changed, lights appeared in the headlights, the rear lights turned completely red, and the reversing lights were located on each side of the license plate. 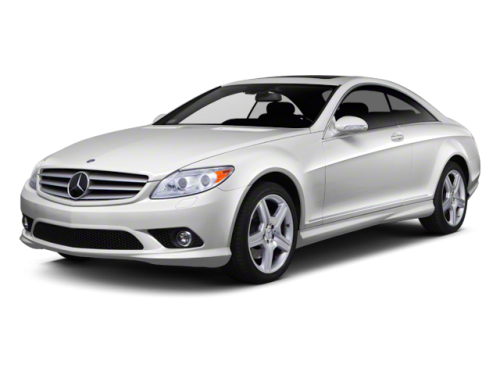 Atmospheric V8 volume of 5.5 liters from the CL 500 gave way to a new 4.6-liter unit with a twin turbo, developing 435 hp. and 700 Nm.